We created this book as a Christmas gift from Tom's mother, Joyce Taylor, to her family this year. It's a great example of a short, focused memoir that can be compiled from a few collected interviews and photographs. 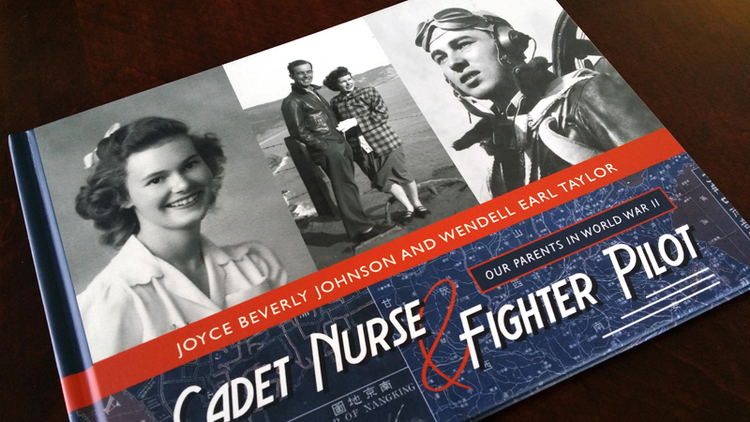 It covers their experiences in a short period of time during WWII: Joyce Johnson was contributing to the war effort as a nurse in Salt Lake City, while Wendell Taylor, her future husband, flew missions over the Pacific. Wendell Taylor crashed his plane while flying over China and lived to tell the tale.